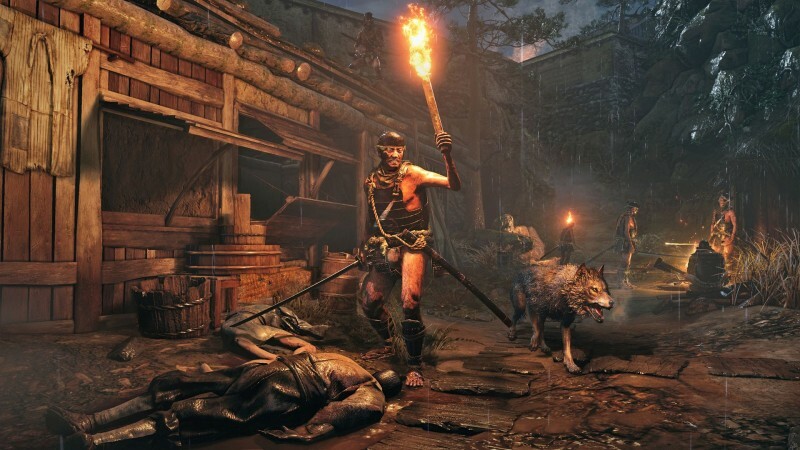 With Sekiro: Shadows Die Twice, From Software is making a number of changes to the way it thinks about combat, level design, storytelling, and more. 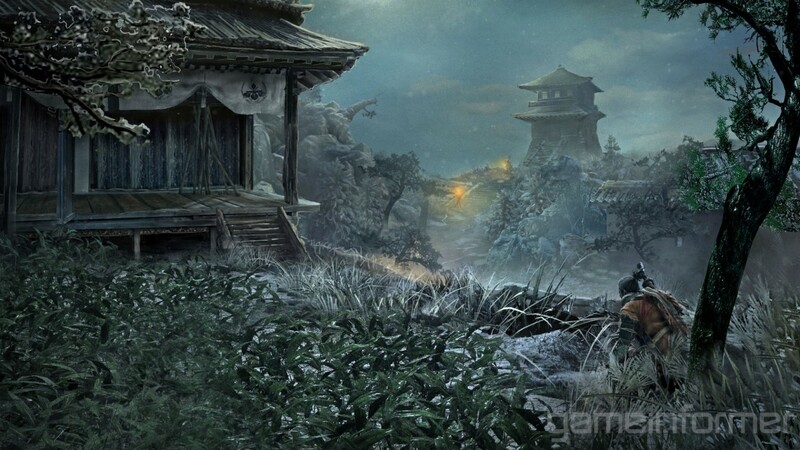 Although fans expect plenty of surprises when they sit down with a From game for the first time, certain aspects of the developer’s formula having been trained into players’ minds, and it might be these players who have the hardest time getting used to Sekiro’s changes. 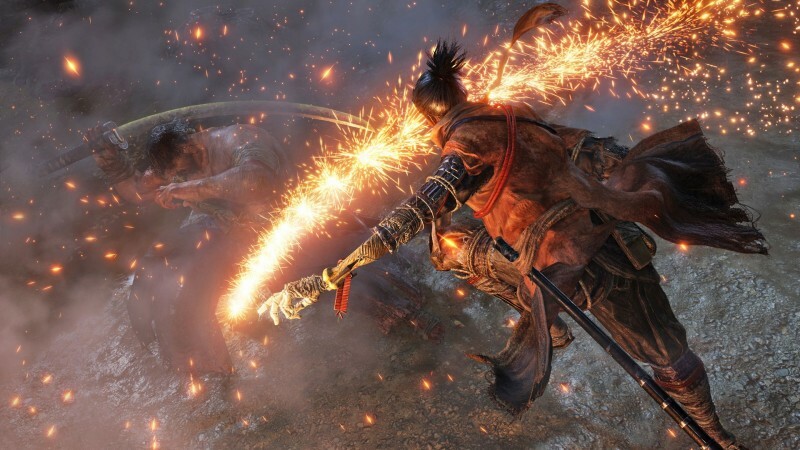 To get a taste of how Sekiro might differ from From’s previous output we sat down with lead game planner Masaru Yamamura to get his insight on what learned players may want to rethink most when they jump into Sengoku-era Japan for the first time. For years, fans of From games have learned an invaluable instinct: If you see your opponent wind up an attack, get out of the way. 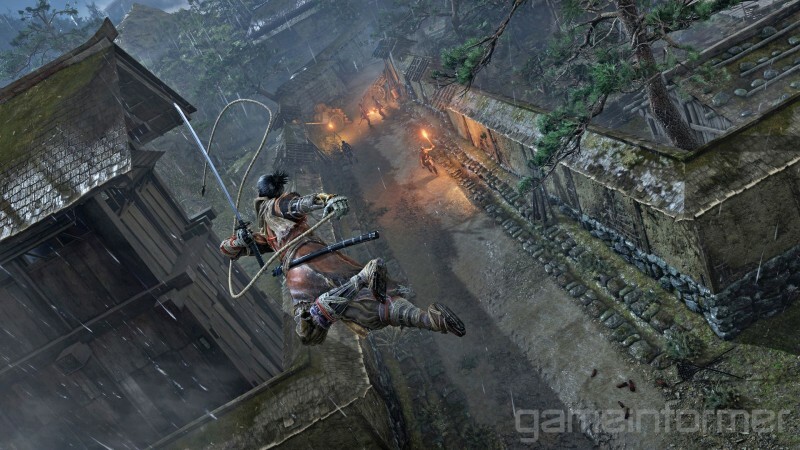 That will only get you so far in Sekiro, and Yamamura predicts some players are going to think the game is harder than it actually is if they dodge at the first sign of movement. “We feel like the initial impression is going to be, ‘Wow, these enemies are really tough! They have a strong defense,” he says. Combat works a little differently this time around; when you see an attack come your way, that’s your time to strike. “When the enemy’s attacking you, you can deal damage to them, you can wear down their posture by deflecting their momentum and their attacks,” Yamamura says. Most attacks enemies dish out can be can be countered by your own sword swings, dealing damage, but more importantly, increase their posture meter. When this meter maxes out, they’re vulnerable to death blows, which will deal severe damage, usually killing them. It’s not simply a matter of mashing the attack button instead of the roll button, though; the window for properly deflecting an attack is fairly thin, so you’ll have to study an opponent’s attacks and learn the proper timing to counter them. “Once users have mastered the deflect technique, they’ll be dealing not only damage through their own attacks, but when they’re being attacked by the enemies, turning that to their advantage,” Yamamura says. Before you engage in combat at all, however, you’ll want to do your research. The Wolf’s grappling hook lets him move to high places and get a view of where he’s fighting. This lets you survey your opponents before you fight them. Make it a point to seek out vantage points where you’ll be able to see what you’re up against and plan accordingly. On the ground, you’ll want to be sneaky. Though past From games let you get the jump on enemies from time to time, Sekiro has a bona fide stealth option, letting you move slowly and hide in tall grass to avoid detection. This serves two functions. First, if you can take out a few of the more isolated enemies before you’re spotted, you’ll have an easier time once you go loud. Second, if enemies don’t know you’re there, they might be a little chattier, and have conversations that might be of use to you. It also helps to talk to anyone else you meet along the way. “The eavesdropping mechanic, conversations with NPCs, overhearing enemy conversations – these are ways you can learn about the world, and gain hints about combat as well,” Yamamura says. If you overhear enemy conversations before you kill them, you might learn a particular enemy is weak to fire, giving you an advantage when you finally face them. If you’re finding a particular encounter or boss too difficult, think about all of the tools at your disposal. Between your katana, prosthetic limb weapons and tools, and stealth or traversal options, you probably have an answer for your problem. If not, it might be time to go look for it, as some options are hidden around the world. Either way, you’re never “locked” out of a certain strategy simply because you didn’t build for it. 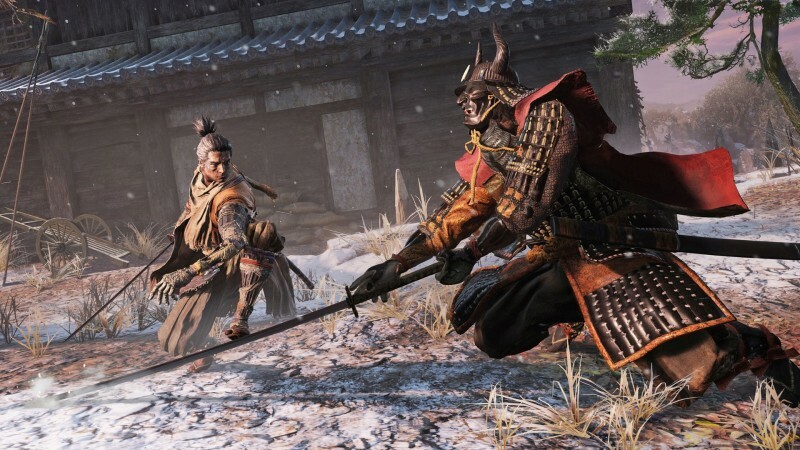 Sekiro isn’t as malleable a game when it comes to creating different character builds. That means some dedicated From players are going to have their gameplans pulled out from underneath them. But are there ways to make The Wolf your own that let you adapt to different encounters. So while you won’t be able to turn yourself into an unstoppable heavy-roller or keepaway mage, players with different tastes should look into how they can create their own comfortable “build” through the combat arts, rather than having to return to a particular character to respect their stat points. For more on Sekiro: Shadows Die Twice, make sure to check out how Sekiro’s bosses work, or how From is changing their approach to storytelling, and click on the banner below to keep up through all of our coverage throughout the month.